A new attorney, Karl Rominger, recently joined up with Jerry Sandusky's defense team, and he's starting to make Lawyerin' Joe Amendola, Sandusky's blundering counsel, look like Larry Tribe. Rominger did an interview with ABC 27 in Harrisburg, and he gave the most odious explanation yet for Jerry Sandusky's showering with young boys. He says Sandusky was trying to help, because these kids didn't know how to lather up. Some of these kids don't have basic hygiene skills. Teaching a person to shower at the age of 12 or 14 sounds strange to some people, but people who work with troubled youth will tell you there are a lot of juvenile delinquents and people who are dependent who have to be taught basic life skills like how to put soap on their body. Oh please. 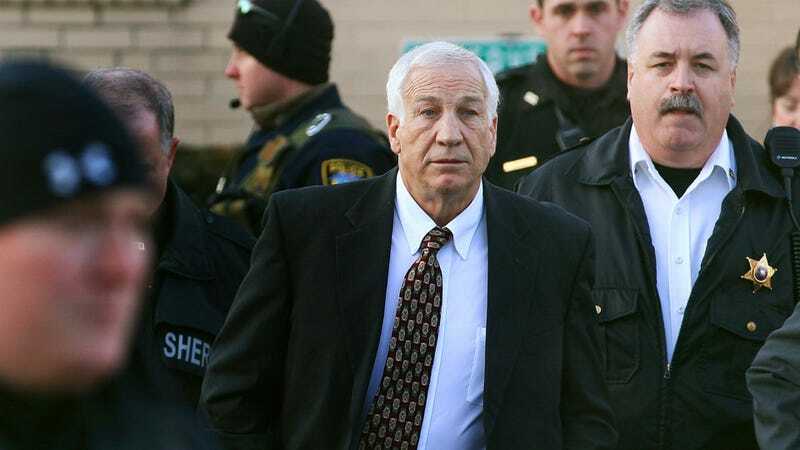 Granted, Lawyerin' Karl Rominger may be too busy doing TV to actually read the indictment, but charity work in the shower is not what Sandusky's being accused of.